Film has long been recognised in our society as a serious art form worthy of critical analysis. As a form of representation throughout the twentieth century, film was unrivalled in its ability to transcend the bounds of time and space. Like other forms of artistic expression, film is a document of its time. It is not simply reflective of society. Yet, film can reveal much about a society’s conventions, anxieties and moral attitudes. The era of silent film, ranging from 1894 to the late 1920s was unique in the history of Australian film. These silent ‘photoplays’ were wholly indigenous productions. Australian filmmakers were able to explore Australian themes without relying on overseas models for success. Hulton Archive - Getty Images. 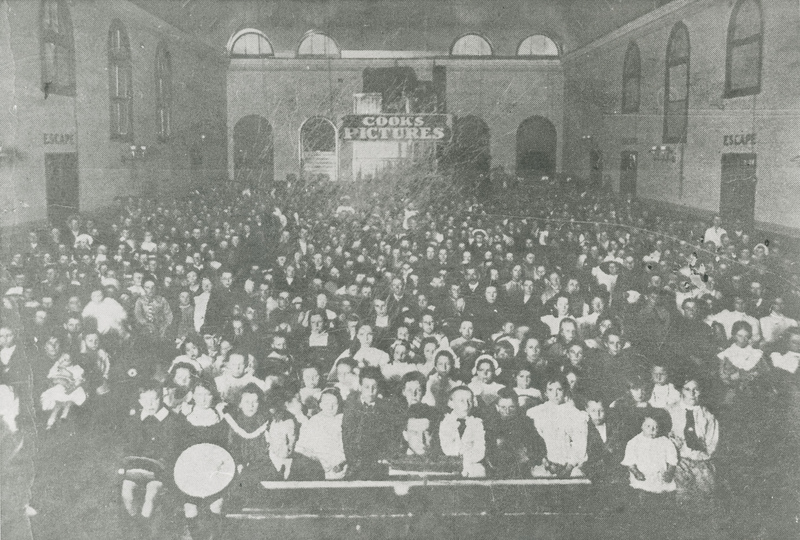 The cinema was at first part of the larger business of entertainment. An evening of popular entertainment may have included a short film, pantomime, melodrama or excerpts from a grand opera. However, it did not take long for film to command audiences large enough to warrant its own theatres. While audiences were perhaps used to the darkened room and beam of light associated with slide showings, this in no way prepared them for the delight at seeing the pictures move in such a way that they mirrored real life. The first demonstration of moving pictures being projected on to a screen came to Australia under the auspices of a magic show. In August 1896, Carl Hertz opened his Australian tour with a demonstration of R.W. 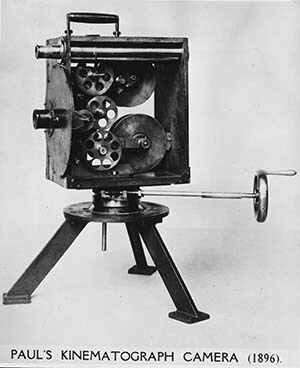 Paul’s film projector called the Kinematograph. Soldiers of the Cross, produced in 1900 in Melbourne, was deliberate in its play on the emotions with the intention of motivating its audience for Good, not Evil. The film was a series of short episodes, unconnected by narrative, which sought to shock audiences into an awareness of the terrible suffering endured for the sake of Christianity. Only stills survive today to depict the gruesome sights of beheadings, crucifixions and maulings at the Colosseum. By 1910, specific film techniques used to elicit a response from audiences were evident in silent films. Film actors had emerged with a new generation of directors whose skills were shaped by film rather than by stage. Between 1911 and 1913, there was a noticeable shift world-wide in the narrative structure of films. The use of an uninterrupted frontal stage perspective derived from the live theatre was modified to include a variation in camera angles and the use of close-ups to enhance the pace and involvement of the audience in a story. Music was used to heighten the dramatic intensity of the images. Audiences were encouraged to enjoy longer features. Modern film and film criticism was just beginning to flourish.